Presenters: Donald Bell (Chair), Peter Townsend, Jacki Johnson , Steve Brazier (did not present on the day) , Bill Butzbach with additional commentary from Alan Bollard and Roger Sutton. Speakers are identified in bold type. 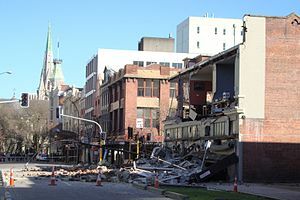 The devastating impact of the Canterbury earthquake necessitated a large and coordinated response by central and local government, as well as private sector agencies. 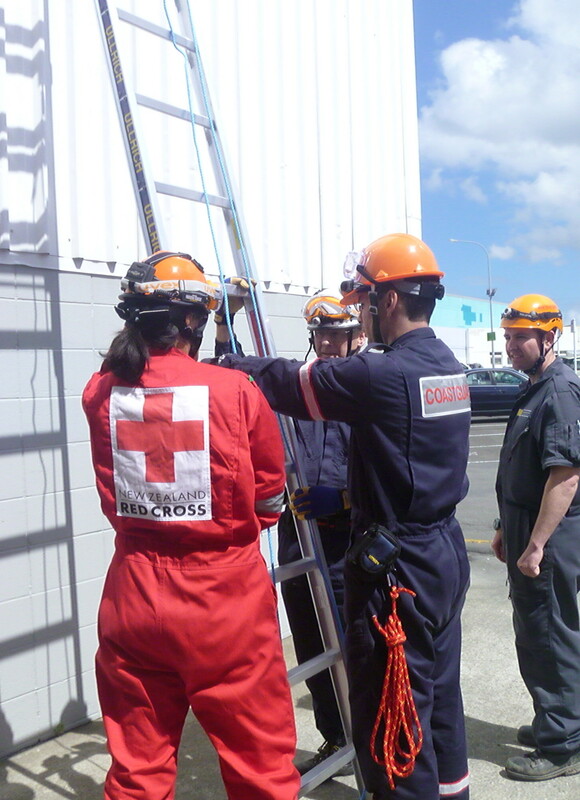 New Zealand was also fortunate enough to receive assistance from other nations during the disaster recovery period that followed the February earthquake. Alan Bollard (Reserve Bank Governor) – One of the pressing concerns immediately following the earthquakes was the maintenance of payments systems. In the aftermath of events such as natural disasters, there is strong demand for food, water, petrol and other necessities. And with damage to power and telecommunications systems, access to cash is a key concern. Only two hours after the February earthquake, the Reserve Bank started receiving orders from banks for more cash for delivery to Christchurch. Ensuring cash was available required us to work closely with banks and Cash in Transit companies to meet the spike in demand. This task was complicated by damage to roads that meant travel, where possible in Christchurch, was taking about three times as long as normal. The public also needed information about where cash was available. To ensure this, Bank staff used Google maps to provide a live feed of operational and accessible ATMs. Overall about $150 million of extra cash was sent to Christchurch in the week of the earthquake, representing about $350 per resident. Earthquake-related expenditure estimated at $13.6 billion contributed to a marked deterioration in the Government’s operating deficit over the 2010/2011 year. The resulting pressure on the Government’s debt position was highlighted by Standard and Poor’s when they downgraded New Zealand’s long-term sovereign rating to ‘AA’ earlier this year. In response to the costs associated with the earthquakes, the Government’s June Budget incorporated an increased focus on fiscal consolidation with a reduction in new discretionary spending over the coming four years. In addition, the Government has recently announced an increase in the earthquake cover levy component of home insurance, to cover the costs faced by the EQC and to rebuild its Natural Disaster Fund. We have also been researching how other countries have responded to similar earthquakes. Rapid recovery of communications infrastructure, speedy decisions on rebuild, and availability of finance, have led to rapid bounce-backs in industrial production, confidence and growth. Where the New Zealand situation looks most different is in the lingering seismic instability. Donald Bell (Session Chair) is Territorial Commander for the Salvation Army. This session is focussed on the immediate aftermath. How do we react appropriately to an unexpected, catastrophic event? Almost everyone talks about the need to plan effectively in order to react effectively – and that is absolutely true. But two other aspects of the response in the immediate aftermath are also worthy of discussion. if you haven’t planned, the plans aren’t available, or the people with the knowledge of the plans are not available, we realise that action is still required. Action is often required that is not in the plan. This is sometimes described as ‘train, train, train – and in the face of unexpected events that were not what we trained for, exercise independent judgement.’ Exercising that judgement can require great skill, so there are important lessons here. Peter Townsend is CEO for the Canterbury Chamber of Commerce. He talks about five issues relating to the topic,including loss of human and financial capital, delays, perceptions, and isolation. I have ten minutes to talk about 30 billion dollars. For those of you who think it’s 20 billion, it’s not. It’s 30, and get used to it. Two words appropriate to my presentation are certainty and hope. Critical words as we go forward in Christchurch. To reinforce the size of the event for you: 1200 buildings destroyed, meaning if you want to renew and repair and replace over a 10 year period, you’ve got to open a new commercial building every three days, for the next 10 years. 1200 buildings in our city destroyed. 30,000 houses and in excess of $100,000 worth of damage to each. 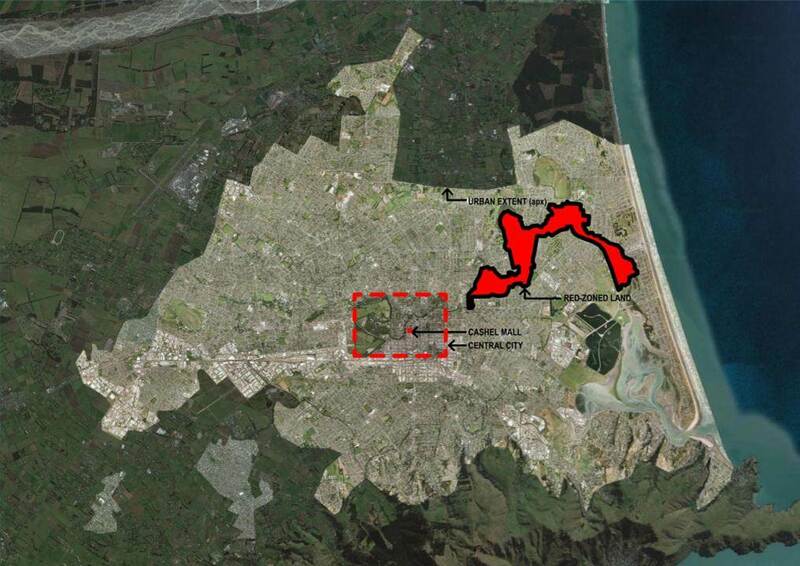 That’s equivalent to a town the size of Ashburton – destroyed – so we have to replace Ashburton in Christchurch. 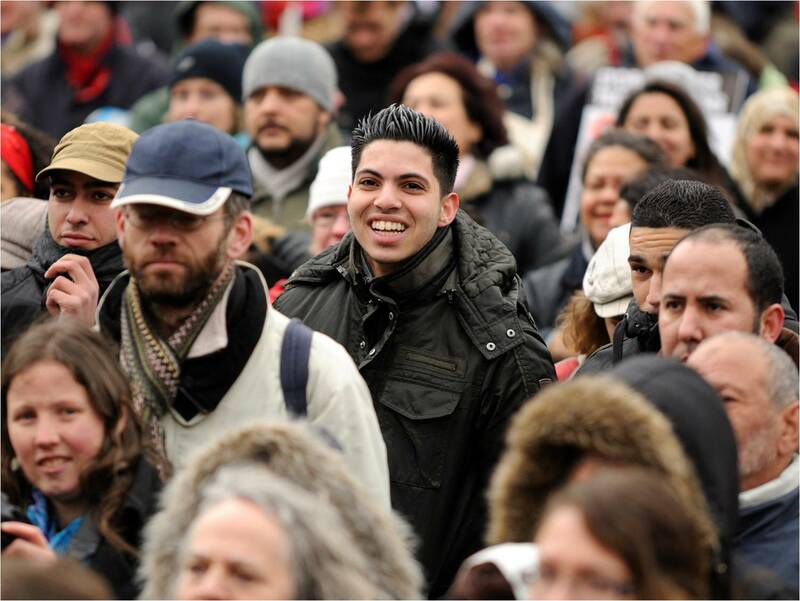 It’s estimated that will require 30,000 new people above business-as-usual, to help rebuild our city. I want to focus on 5 key issues. The first is capital flight, the risk of capital flight. We are the best insured city ever to have been struck by an earthquake of these proportions – this is the fourth most expensive earthquake in world history when it comes to insurance. It’s a double-edged sword – it’s great to have that insurance that comes in and can help us rebuild our city, but insurance means that we are very liquid. Cash is the ultimate liquidity and being liquid means that the cash can go anywhere. I’ve talked about capital flight, some of my colleagues talk about landing capital – we have to have a Christchurch where capital lands in the future because we don’t want to lose capital. We are going to be the recipients of 30,000 million dollars to replace a lot of lost equity in our household sector, our business sector, and our community, so we want to make sure that money sticks. The second issue is the issue of human capital flight, of losing people. We haven’t lost many people in Christchurch, and I don’t think we will. When you consider 30,000 people are coming in to help rebuild Christchurch, we might have the opposite problem. We may have lost between 8 and 10 thousand people and some of those are coming back. To give you an example, in Wanaka, the schools down there peaked at 367 kids immediately following the February earthquake, and that is now down to 100 kids from Christchurch still down in Wanaka. People come back. There are many reasons people want to come back to Christchurch. One is that they love the city. It’s broken, but they love it. Their equity is in Christchurch, their house, their businesses. Their kids’ schools are there, their social networks are there. There are many reasons that people come back, so I am not anticipating too much human capital flight, but we need to be careful and we need to be accurate. There were reports that 30,000 have taken flight in the press not that long ago – that sort of information, we don’t need. The third factor is delay. I describe delay as a cancer that eats away at recovery. The longer the delay, the more difficult it is to get back up. Delay from my perspective is an interaction between land stability, aftershocks, and insurance. At the moment we are into our 8,600th aftershock and they continue. As long as they continue there is this dependency between land stability, aftershocks and insurance. I have sympathy for the insurance companies and the bind they find themselves in, gearing up for big payouts for reconstruction in the face of continuing seismic activity. It’s a massive, massive problem. 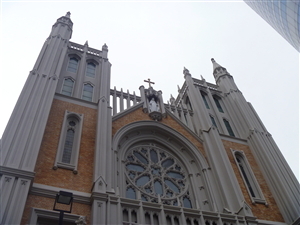 The fourth issue that I think is critical, is the perception that we will go back to where we came from. Christchurch is not going back where we came from. It is going somewhere else. We have 52,000 people inside our CBD. 6000 companies. 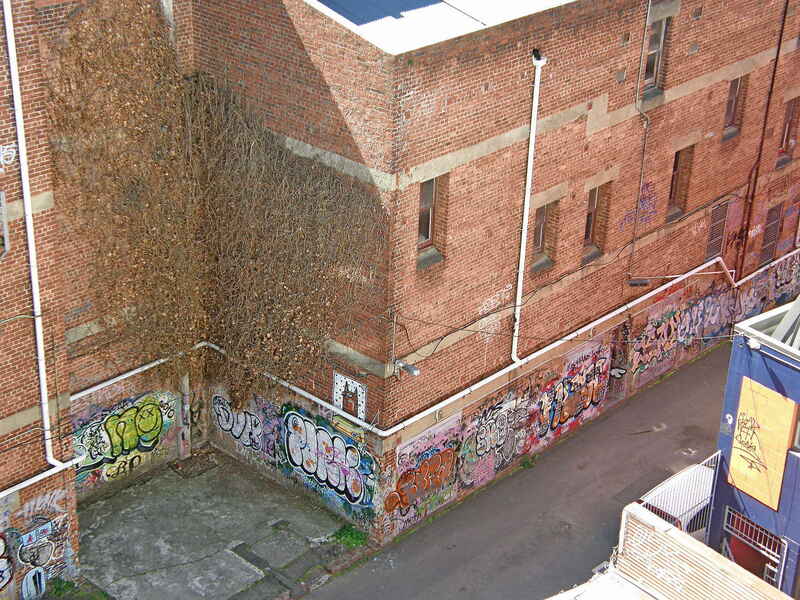 Most of those have left the CBD and some of them will come back, but not all of them. Christchurch will be recreated as downtown Christchurch, and I use recreated wisely. We have a lot of different challenges and opportunities ahead of us. The fifth issue is controversial and extremely important – the risk of isolation. It is the risk that because we are going through a 10-20 year recovery, the rest of the country gets on with doing their own thing, we concentrate on our recovery, and we run the risk of being in isolation over time. This is an issue of national significance and requires ongoing national support. The support we’ve had so far has been unbelievable. What worries me is that over time, the rest of the world will move on while we struggle. We have to make sure that does not happen. So, we have these 5 key issues. We need to turn every one of these into opportunities. I just want to touch on organisational resiliency in our city. It is unbelievably resilient. Of those members of the Canterbury Employers Chamber of Commerce, and there are 3000 members, 350 operating in the CBD, we have contacted them all since February 22nd and 90% are still in business. The stories of resilience, the way they’ve changed their business models, their customer base, their supply chains, the way they have had to rebuild their business support systems, every one of those stories is a story of business heroism. Something that I really want to reinforce is that the role of Recovery Canterbury, which was a joint venture between the Chamber of Commerce and the Canterbury Development Corporation. We set up a website, set up a call centre, put business recovery coordinators on the road to assist business, optimise business survival and success. A critical issue was that of the employment subsidy scheme. Post-September, Bill English initiated the employment subsidy scheme after a conversation with myself, and we got 10.2 million dollars for 2,200 companies and 11,700 employees. After February 22nd, Bill English called me and said that I didn’t need to call, that they were gearing up the employment subsidy again. Post February 22nd, the Government pumped 200 million dollars into the Christchurch business community, binding the businesses and employees together and ensuring that the businesses can concentrate on things other than survival. They can think about relocation, they can think about their markets, they can think about adapting their business models, they can think about renewing their supply chain. It was a critical time and that 200 million dollars applied to 57,000 of our employees, 27% of our total workforce, and 50,000 companies. This money was pumped in on a high-trust basis immediately. It saved companies and it saved jobs. Fewer than 100 people ended up going on the dole, and Christchurch has lower employment rates than the rest of New Zealand, even in the face of the biggest natural disaster to ever hit our country. A lot of the credit for this has to go to the fact that these companies were able to have time, 8 weeks, to think about their options and not worry about their cash flow. 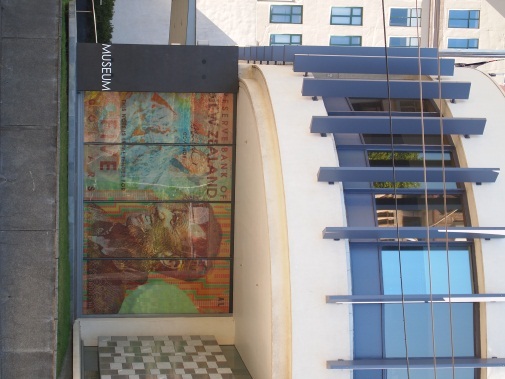 Jacki Johnson took up the role of Chief Executive Officer of IAG Insurance Group’s New Zealand business in November 2010. She discusses insurance in the context of organisational effectiveness. Insurance is one of those areas that people don’t pay too much attention to until they really need it. It is often at this point, that it is too late to understand the product that has been purchased. I would also like to acknowledge my colleagues who are here today, and the way we have worked together with very difficult issues. Firstly, I want to put insurance into context with the theme of today. The framework I encourage you to think about is as follows: Individuals and businesses need to understand their risk appetite – how much risk can they take and how much are they willing to take. Of course, this is very rational approach. What tends to happen is that people buy insurance on a price point and not with this active decision-making. If it is true that the world is becoming a riskier place, then we need to make sure we help with active and informed decision-making. To effectively manage insurance cover, an individual or business should be identifying and assessing their risks and then taking action to mitigate their risk. For example, this can be in the form of BCP, managing design-decisions or the OH&S of their people they employ, or their own health and safety. One other key part is risk transfer. How much of the risk is transferred is dependent on the availability of cover, the risk appetite and affordability. I want to cover each of these with you. The immediate need, in addition to the obvious need of assisting people make their homes watertight and lodge claims was to ensure global capital remained to support our ongoing customers needs for insurance. When an event is still going, it is normal practice to not offer renewal. The local underwriters can only continue to provide support whilst they have cover from their re-insurers. We also had to work with reinsurers, with government and with Council to determine how the rebuild will occur. After ensuring the safety and well-being of staff, the first priority in any major event is being accessible to your customers. 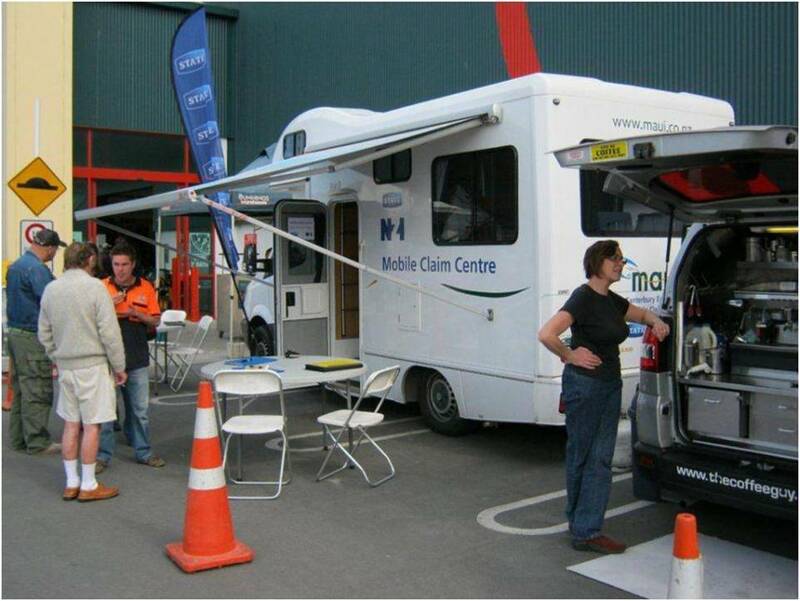 We mobilised employees from across IAG and had mobile vans out in the community. When customers have no reliable phone communication and have immediate issues that need attending to, we need to respond. We also need to go to a place that is convenient for them. These situations are typically chaotic (at least in the early days) and full of complex issues. You need to be able to work together across stakeholders – government, industry, cross industry and communities to find good long-term solutions. You need to work in a way that balances speed, initiative and good risk/safety management. 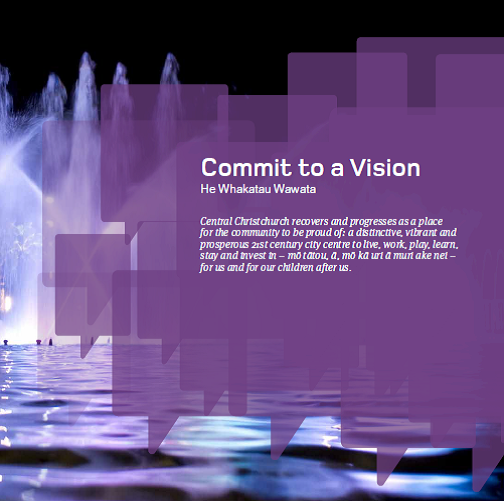 It is critical the shared future is designed and articulated across stakeholders. This requires good relationships based on trust, and understanding each other’s perspectives. The following, more specific, imperatives that arose in Christchurch are testament to this. For insurers to be able to write policies and renew policies, we require access to capital – both from investors and reinsurers. Insurance, although manufactured and distributed at a local level, really is about a global market of investment. Sharing the risk. It is about ensuring there is enough capital to back up the promise. Too much aggregated risk is not good for an insurance model. Diversification helps to manage the long-term risk and accessibility of insurance. As insurers, we need to engage in good risk management to be there for customers and economies. In that regard, the Global Reinsurance market is critical to us. Confidence must remain for Reinsurers and shareholders to invest in a market, and it is important to understand that the market here is linked to Australia and that Reinsurers see us as one part of the world. What this means is a higher volatility from natural events and relatively small populations and markets – so we need to decrease volatility across other parts of our balance sheet – there needs to be confidence that government will make rational decisions and work with the industry. I am pleased to say this has been the case here in NZ. Government and insurers are making sure they are actively engaging with Global Reinsurers to ensure they understand the decisions and planning that are occurring. Without access to global capital, we cannot restore confidence to households or local businesses. Ensuring all parts of the insurance chain are adequately reserved, is critical for restoring confidence but a challenge in a small market. Many people expected insurers to be able to start repairing and rebuilding their homes immediately. Like what happens after major weather events. Geological events are different – the event has not yet stopped and significant land damage has occurred. We have fixed some driveways up to 4 times! 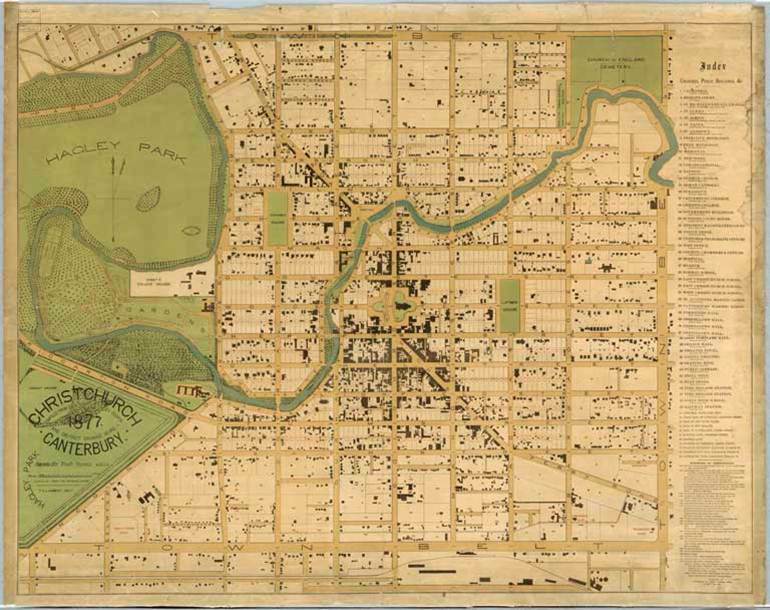 Determining what land is safe to start building on, understanding the ongoing seismic risks, the building standards, the city plan, how Councils will give consents – all are key to us being able to start to rebuild people’s homes and businesses. That is not to say we haven’t started. A high proportion of assessments are now completed and the planning and resourcing has occurred. We have also completed some rebuild activity, but it is not as fast as people would like, and our 570 staff based in Christchurch take the brunt of this. The next panel about Leading people, will deal with this particular topic . The key thing to remember is that no matter how well you plan, events will overtake you. Maintaining resilience and ensuring you see and adapt to emerging issues is critical. Clearly, a big challenge is the availability of affordable and building-ready land and the maintenance of communities and community support structures. The issues of contract works and resultant cover is one of capacity and exposure. It is particularly acute for developers looking to get ahead of demand. The absence of land cover from EQC during the build is an issue. However, we have committed to provide contracts of works cover to existing customers. At IAG, we are working to support our existing customers and making prudent decisions taking into account geo-technical, consent and planning information. We also continue to work through the Insurance Council and Business NZ to ensure that the industry is able to play a positive role in the rebuild. Access to the CDB has been a long-standing issue – one I’m pleased to see has reduced over the months, as the industry and CERA have worked together to find solutions. Concerns about recovery of stock and plant and the settlement of claims have been resolved through improved access. 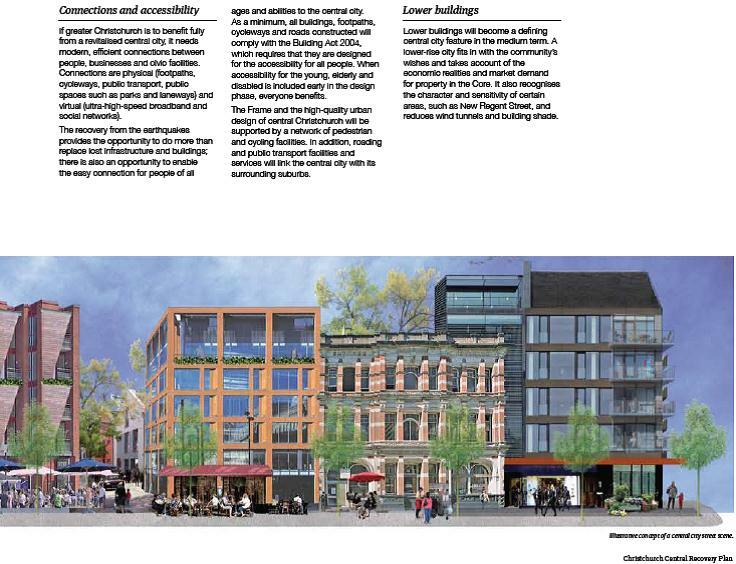 Concerns about demolition – in particular, notifications and differences in engineering assessments, have also improved markedly. Our engineers and CERA engineers are largely on the same page, when it comes to assessment. The ability to speed-up demolition remains a concern for business – we appreciate safety of workers must be paramount in decision-making. Speed of demolitions has improved of late. The issue of depopulation and prevention has been an issue for business in and outside the cordon and will come to a head, as we approach the calculation of final settlements. Once again, the uniqueness of the events in Christchurch has tested policy wording in ways not thought likely when they were first written. Business-interruption covered clients for losses resulting from property damage. But this does not extend to the wider impact of the quake, such as the general depopulation or economic downturn that often occurs following a widespread damage event. Businesses now understand that they need to be very familiar with what’s in their policy. This extra scrutiny is a good thing for our industry – for brokers and insurers. Finally, the key to ensuring confidence in a community through insurance is working together in a manner that builds trust and making sure your own people feel safe and supported. Without their resilience and commitment you cannot respond effectively to people in their time of need. A highly engaged workforce is most critical. What Natural Disasters do is give us the opportunity to work together in a way we do not normally have to. We identify issues at hand, but also minimise future risk, from what we learn. Without working together across countries, across businesses and across community stakeholders, we would never evolve and improve communities and economies. Thank you. Bill Butzbach is Director, Strategic Development, NZ Fire Service. He presents some lessons for Wellington and Christchurch, including working together and keeping each other informed. Our response comprised some 600 fire fighters, 400 of them volunteers, 150 New Zealand urban city and rescue personnel, and 150 support staff. There’s actually a key lesson in that as well – we put our corporate staff out into a disaster zone and we made the assumption that they were going to be able to deal with that and of course it was so foreign for them. So we learnt a great deal about how we would respond in the future, just making sure that they were adequately prepared to work in that environment. We were also able to roll out nine of the seventeen new dual-role hazmat/command vehicles. We’ve invested heavily in those over the past few years. There were fully trained staff on them 24/7 and it’s state of the art equipment. We were able to share this equipment with other agencies like the Police. The disaster and victim identification had a couple of them, and they were spread throughout the city for some time. There was a lot of support required from our IT staff to ensure that the technology could keep going in such difficult circumstances. This was a very significant local event, yet at the same time we had to wear the National Fire Service badge and ensure that business-as-usual was happening. It was interesting that many people were wanting to self deploy – and we had to hold them back at some point. I think the thing we needed to think about most carefully was who was sent down to Christchurch. Because sending too many down would overload the local infrastructure, which is probably something I wouldn’t have thought about previously – not enough places to sleep, not enough food and water about, so you have to be careful and maintain some balance. There was a lot going on in the background, thinking about longer-term focus, and looking at rebuilding a city and identifying the role that your organisation is going to play in that. That’s what my presentation is about today – working together for the benefit of Christchurch, looking to the future, what we can learn a great deal from – for the rest of New Zealand. The feedback we got as an organisation is that the media coverage and how high-profile the organisation was, provided a sense of reassurance to the public, because it reminded them that something was being done. So that’s something to reflect on, how the media can be important in situations like these. While search and rescue dominated the media coverage in the news, there was a tremendous amount of brand activity that we needed the media for – to get key messages out. Because usual channels of communication were disrupted, no infrastructure, no facilities, no television, so a lot of the way in which we had to get key messages out in the community was face to face, just keeping people on the ground to talk to. To get some insight into our business continuity at the front end of our fire service, this event certainly tested our BCP. From February 22 – 24 there was a real peak in demand, mostly rescues, sometimes people just wanting assistance. 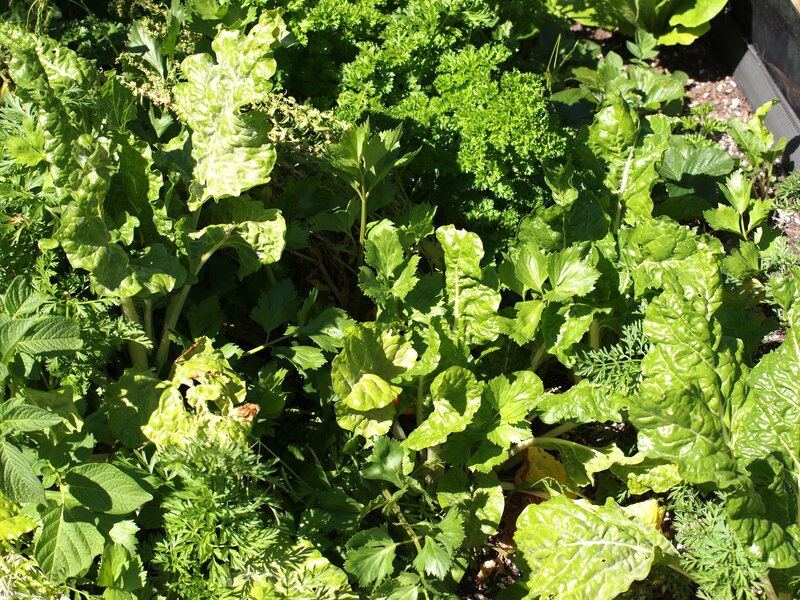 But as that initial demand dropped off until March 10, there was actually a wider community demand which to some degree overwhelmed us in the initial phases – they wanted support and information, so we had to adapt to that and think about things differently. During that time, we responded to over 400 incidents, there were 70 live rescues from fire service personnel. Fortunately, there was very little post-earthquake fire and that was probably attributable to the gas reticulation in Christchurch. In Wellington it will be a different matter. The likely scenario here is that we expect a lot of post-earthquake fires because of the nature of our building structures here, our gas reticulation system and other matters. Our Southern Communication centres worked tremendously well on the day, and it was a test of our BCP to keep this network going. We’ve invested heavily over the past 6 years in technology to create a common database, common directory and radio network so that day we could switch off most of the operations in Christchurch and divert the calls to Wellington and it was business as usual. So we have a great deal of confidence in that infrastructure going forward. We experienced a new demand, as a traditional fire service in Canterbury, because of Canterbury’s changing risk-profile. Obviously, there’s liquefaction. It’s a bit wet, but there are no utilities. So people are buying gas stoves and using them for heating, gas stoves that aren’t suitable for use inside, using candles, unfamiliar house layouts, overcrowding in houses, because there are a lot more people there than there usually would be. So this provided an extraordinarily high level of fire risk. We got together with other agencies and used various networks to get key messages out there to the groups of people on the ground. We set up an 0800 number. A lot of the things we did in this area still continue to this day. Some of the other work we’re involved in at a national level is working with the Department of Building and Housing to develop two temporary housing precincts. We have also been involved in basic design-specs, dealing with issues around fire fighting and rescue, that sort of thing. 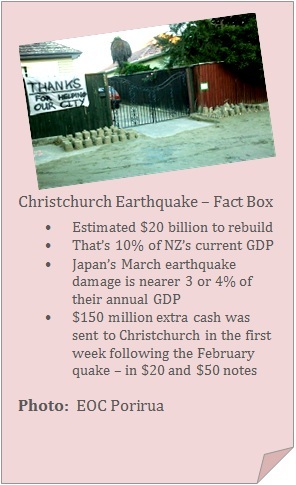 The key lessons for our agency have been firstly, that earthquakes hit business and economies hard. They want to get up and running as soon as possible, so we need to be responsive to their needs and provide timely advice, including assisting building and business owners with regulatory compliance matters. The demand is different, the focus must shift quickly. In rebuilding, there are increased expectancies from a lot of agencies for us to be involved in strategic planning and in the longer term strategic issues and roles – and we are doing that. I think the big lessons are working together, keeping each other informed in what is now business as usual in Christchurch, and it should be the same here, in Wellington. Geoff Bascand outlines the response of Statistics NZ. How did we respond to the earthquakes? There were many practical responses. Yet the intangible care and support responses were most significant. Initially, we executed our existing crisis management plans with daily crisis meetings, led by me, with the senior executive team, the corporate support manager and the general manager of the Christchurch office by phone. Every meeting had an agenda of people-care and management matters, buildings/facilities issues, business activity/service delivery issues, and communication (internally and externally). 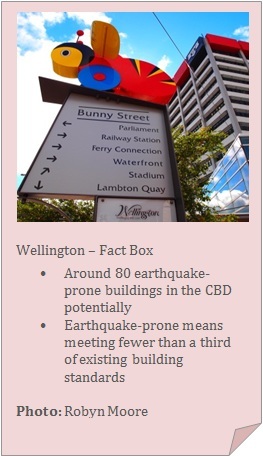 Following the September quake, key responses were prioritisation of business activity, reorganisation of office space to accommodate staff and re-planning the critical path for the census. 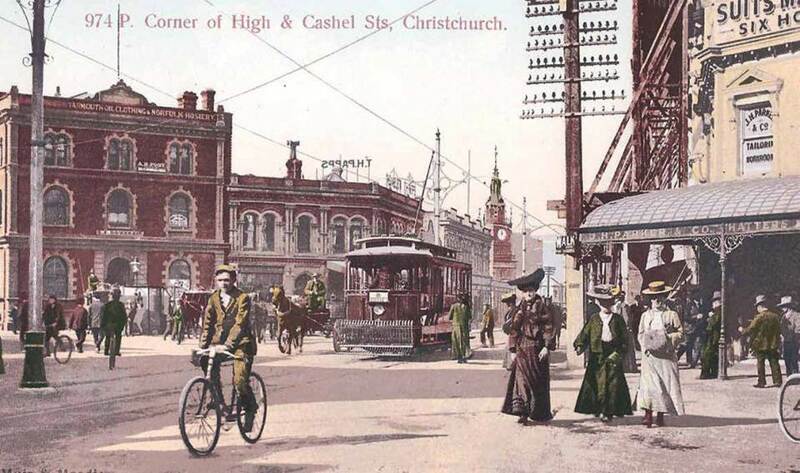 In this case, for operational matters, we largely utilised existing lines of responsibility, relying principally on the corporate services manager and the GM Christchurch. Roger Sutton of CERA has the last word in this section – on insurance and confidence. Insurance is the thing I think about when I wake up in the morning. This is not an event they expected to happen; we’d always expected some sort of event in Canterbury, we always expected it to be the Alpine fault, but they never expected a proper faultline to be right under a CBD. So there is an awful lot of work we’re doing – talking to the insurers, to reassure them, and give them information, so they can start writing policies again and it’s also around trying to persuade them to start paying out to people. Insurance may become a major issue. At the moment it’s still only a few months since we had the last 6 magnitude quake. We have to give the insurers time to get their confidence back. We’ve worked hard to give them information to give them that confidence. It is confidence that is fundamental to making this recovery happen. 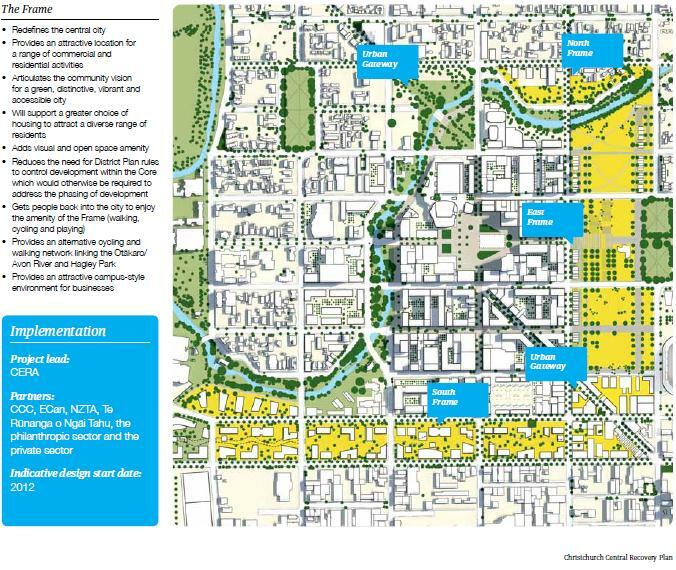 Click here for the draft recovery plan to rebuild Christchurch’s Central City.